Acquired brain injuries are the medical conditions that happen to the brain (usually after childhood) that changes how it works. There are two kinds of ABI – traumatic and non-traumatic brain injury. Just like you hit your thumb with a hammer and it swells up, swelling in your brain happens as a normal response to an injury (trauma) or irritation (non-trauma). There is a balance of brain, cerebrospinal fluid (CSF) and blood within the vessels of the brain. The skull is a fixed compartment, which means that any increase either in the size of the brain or the amount of blood or CSF puts pressure inside the skull (called intracranial pressure or ICP), which can be dangerous. Pressure on the brain tissue reduces blood supply, which means the brain gets less oxygen, damaging the brain. A traumatic brain injury involves physical trauma, like an accident, brain surgery or a head injury. The brain may hit the skull at the point of impact, bounce against the other side of the skull, while also twisting quickly. This is also called a closed head injury. A brain contusion is a bruise to the brain, just like if you were to bump you knee and get a bruise. An open-head injury is a head injury in which the dura mater, the outer layer of the meninges is damaged. If there is a fracture of the skull, especially at the base of the skull (a basal skull fracture), the CSF fluid can leak. A penetrating injury is one that’s caused by objects such as bullets, knives and other objects that push the skull bone into the brain. If the skull pieces push into the brain covering it is called a depressed skull fracture. (exert from Calgary Brain Injury Program, “After a Brain Injury”). Why Timely Diagnosis of Brain Injury is essential. 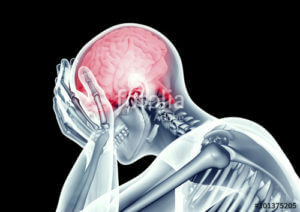 Following an acquired brain injury, survivors may not immediately be informed that their injury involves damage to their brain. 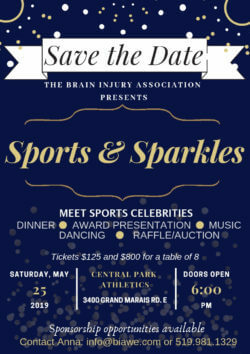 Data from the 2012 Ontario Brain Injury Association (OBIA) Impact Report suggests that while most of the 42% of survivors have received a diagnosis of “brain injury” while in a hospital’s emergency department, nearly 15% of respondents indicated that it took longer than six months to learn of their brain injury, 4% of these stated it took more than five years. Early diagnosis plays a significant role in the recovery process. Without such knowledge, signs and symptoms of ABI can lead to even greater feelings of confusion, frustration and depression. A delay in diagnosis can also lead to a delay in accessing appropriate services and thereby impacting rehabilitation outcomes. Acquired brain injury exacts a devastating toll not only on persons with an ABI but also on their friends and families, as well as the general public. Millions of dollars are spent each year on medical and rehabilitative costs of caring for Ontarians who have sustained a brain injury. In addition, the economic potential of people with ABI and their families is lost because so much time and energy are devoted to looking after them. The OBIA findings are that 79% of caregivers admit that the brain injury impacted their family finances and 46% of caregivers stated that it has impacted their employment status. 75% of respondents indicated they were employed for pay prior to the brain injury and 85% reported not being employed for pay after sustaining a brain injury. 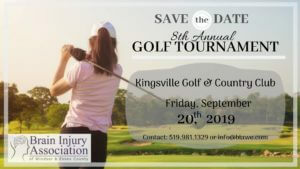 It is the position of the Ontario Brain Association’s and the Brain Injury Association of Windsor & Essex County that individuals living with brain injury have the right to access effective and timely support services and live in an appropriate environment. 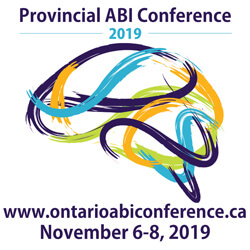 It is not uncommon for people with ABI to be inappropriately placed in long-term care facilities where there is little training given to staff about brain injury. The results of the Impact Report show that 30% of caregivers report that they do not feel that a person with ABI is living in the appropriate environment. Older respondents to the Impact Study who are the primary caregiver express a great deal of concern about the fate of their loved one and especially once they are unable to take care of them due to age-related health issues or their passing. This is a growing problem. It is imperative that when planning for long term care services that the issue of aging caregivers be considered and a plan put in place to deal with this pending crisis. Many people living with a brain injury are also struggling with mental health issues. The 2012 OBIA Impact Study found that 76% have trouble with depression some or most of the time and 80% have trouble with anxiety some or most of the time. 34% do not have access to family counselling/support services. To achieve maximum recovery, the brain injury and mental health issues need to be addressed. How Prevalent is Acquired Brain Injury? In Ontario there are almost half a million people living with a brain injury and 18,000 new cases added every year. Acquired brain injury is 15 times more common that spinal cord injury, 30 times more common than breast cancer and 400 times more common than HIV/AIDS. 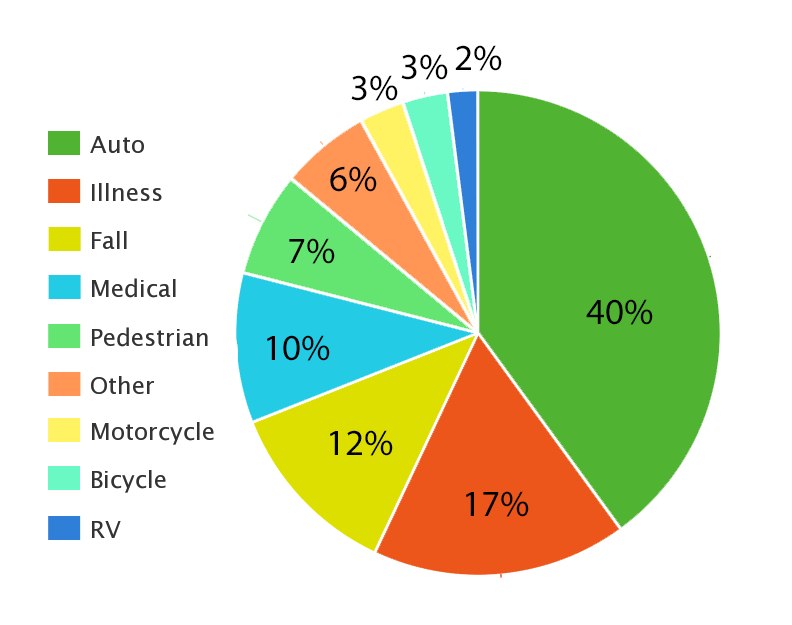 40% sustained their brain injury as a result of an automobile collision. 10% answered: sports, childbirth, operations, health complications, radiation therapy, toxic chemicals and workplace incidents. How Does ABI Impact a Person’s Life? The list goes on and on…. Needless to say, an ABI affects every aspect of daily living.